You’ve built a website for your business; it looks great, but how well is it performing? Are people visiting it? Is it bringing in new business? You may have a gut feeling one way or the other but there is really only one sure way to find out – you need to analyse the data provided by Google Analytics. Google Analytics is a software that connects to your website and tracks and reports website traffic. It’s able to tell you how many people visit your site, what time they visit, where they are visiting from, what parts of your site they visit, and how long they stay on your site for. In other words, it gives a good indication of how effective your website is in marketing your brand. But be careful. Many people misinterpret the data Google Analytics supplies because they don’t use it correctly. It’s very easy to look at a day’s data and accept that as a gauge of your site’s performance. That only gives you the site’s performance at a single moment in time. What you need to know is how your site is trending over a period of time. What’s the benefit of looking for trends? Looking at how your website is performing on an hourly basis enables you to see micro-trends that occur over time. In other words, you will know when people most likely to visit your site and when your site’s visits are at their lowest. the quietest times on your site? This means you can plan events for the best possible time, e.g. schedule special deals when your site is the busiest, or site maintenance when there are less visitors. Looking at how your website is performing on a daily basis enables you to see what times of the month or week people are most likely to visit your site. Once again, you can plan marketing and maintenance events accordingly. 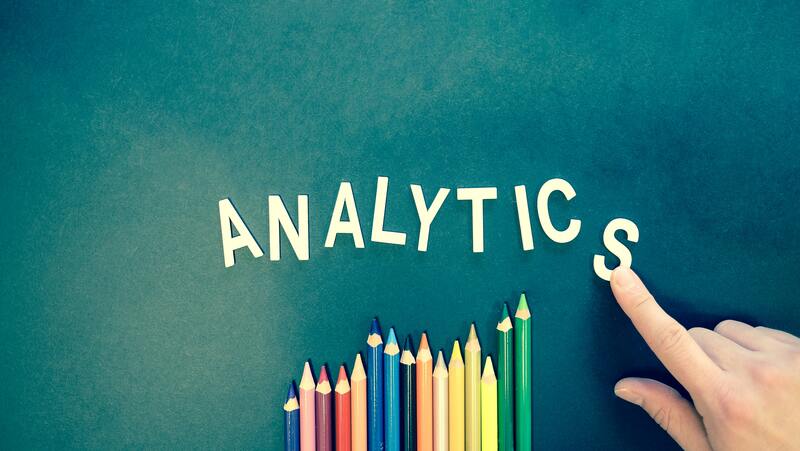 Here’s what you need to know to ensure you get the best out of Google Analytics – you can’t judge your site’s performance by looking at the data from a single day, you need to look at trends; you need to compare each day with the days and weeks before, and the days and weeks after. You also need to look closer – at hourly trends. One of the great features of Google Analytics is that it enables you to do this. You can analyse trends over long periods of time, or you can focus in on the information to the point of being able to discern trends from one hour to the next. Google Analytics presents its results in a series of graphs which can be used to pinpoint trends in performance over a chosen time period. For instance, let’s say one of our clients, a plumber, found a spike in visits during one especially dry summer. Examining those visits found that a number of homes and businesses were looking for a plumber because they had experienced broken mains water supplies due to excessive ground movement. This increase in traffic meant, the following year, the client took the proactive step of placing an advertisement on their website offering a discount on mains repair and replacement. By capitalising on this trend, the plumber picked up a number of new clients who now use that company as their plumber of first-choice. Your company could also benefit by using and monitoring Google Analytics. At Web Revolution, we would love to discuss with you how Google Analytics could monitor your website and help increase your business – we can even check it for you and send regular analytic reports and recommendations.